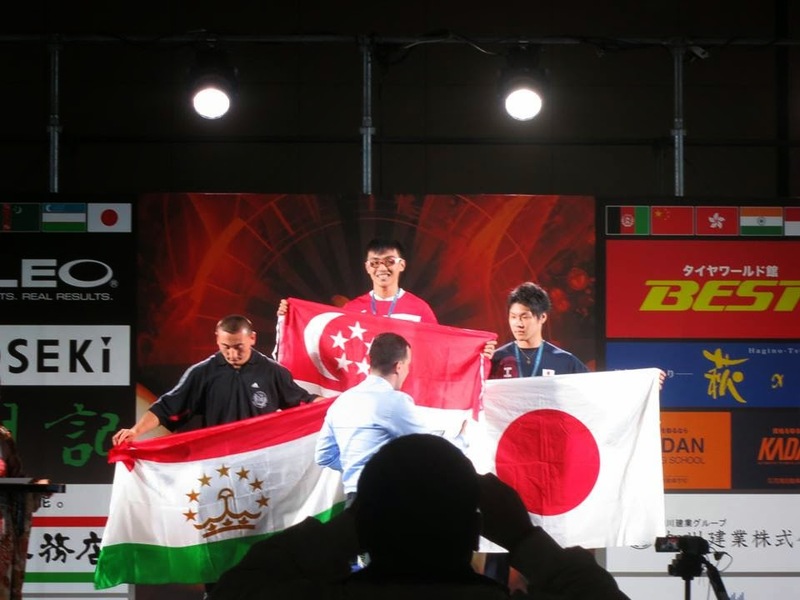 Sendai, Japan - Valen Low Wai Luen, 20, powered his way to gold and silver in the XIII Asian Open Arm Wrestling Championships for the youth under-70kg categories today, 28 June 2014. He notched gold for his right hand and silver for left, summing up his successful debut on the Asia stage. En route to his victory, Valen, a Republic Polytechnic Health Management and Promotion student, defeated arm wrestlers from Tajikistan and host country, Japan, He identified Tajikistan’s arm wrestler, Sariev Asatillo, as his main competitor, after he lost two out of three matches against him on Friday in the left hand category. However, he was confident on winning the Tajikistani when it came to his right hand. Usually bulkier, Valen was initially 77kg before he registered for the competition, but after careful caloric counting, he successfully made weight for the under-70kg event, weighing in at 68kg. “Five days out from the competition, I reduced my carbohydrates intake to around 100grams a day and my sodium intake to as minimum as possible because carbohydrates and sodium hold water weight in my body,” explained Valen. He also reduced his water intake and took to hot tubs to rid his body of water. “I was actually feeling quite dehydrated and feeling a bit ‘floaty’. On the day of my weigh in I was in my worst condition of my arm wrestling career ever,” he said. His fellow countrymen and team mate, Desmond Lau Chee Loong, 25, finished fifth in the Senior’s Men under 70kg, for both left and right hands. Both Singapore arm wrestlers travelled to Japan by themselves and funded the trip out of their own pockets. 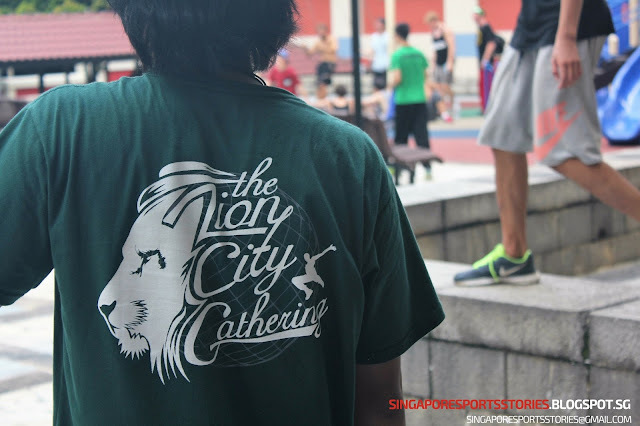 Besides competing, they took the championship as an opportunity to gauge Singapore Arm Wrestling standards. Valen said: “This competition is also a gauge for Singapore’s Arm Wrestling team to know where we stand in the arm wrestling world so we will know our weaknesses and strengths and where we can improve on.